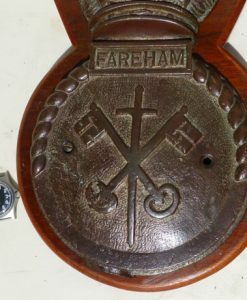 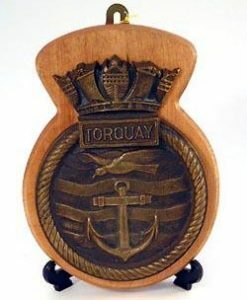 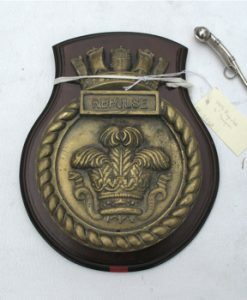 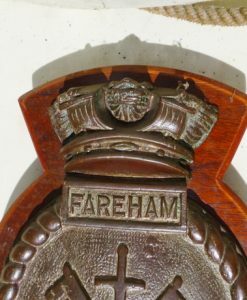 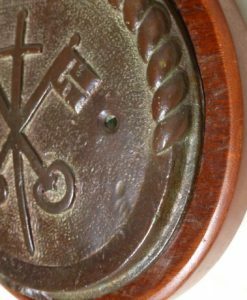 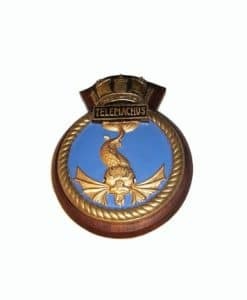 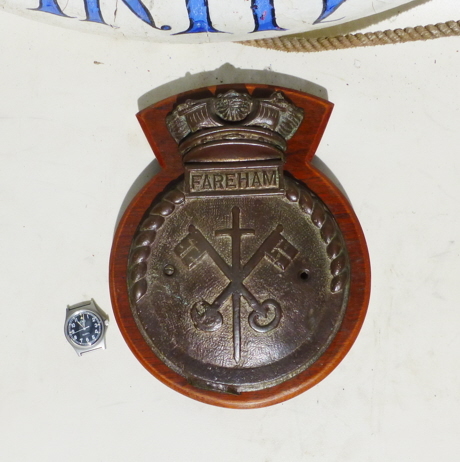 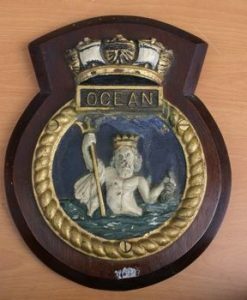 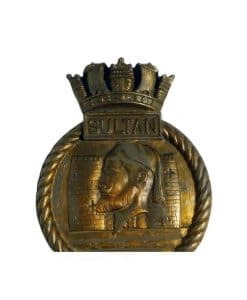 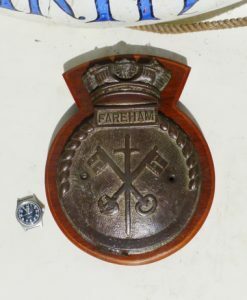 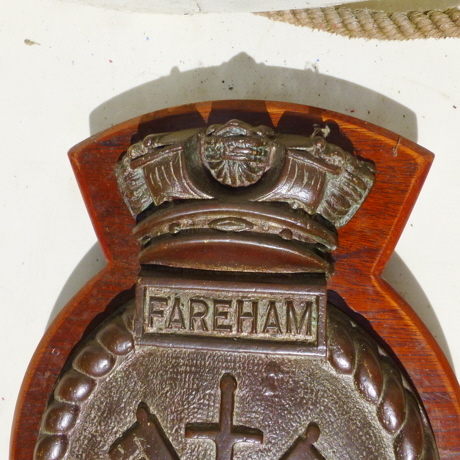 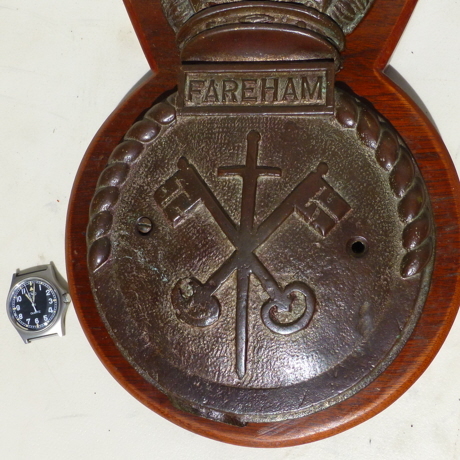 Original ships crown top badge from HMS Fareham. 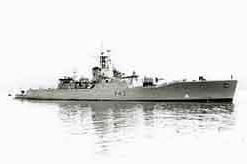 A Hunt class minesweeper of the Royal Navy. 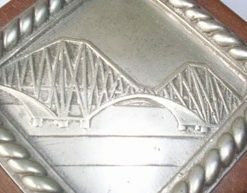 J89 built by Dunlop Bremner & Co Glasgow 1918. 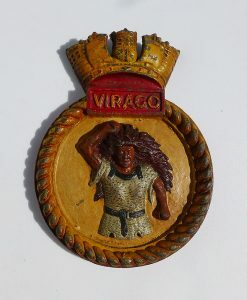 Renamed St Angelo II , acting as a minesweeping base ship 1944-45 . 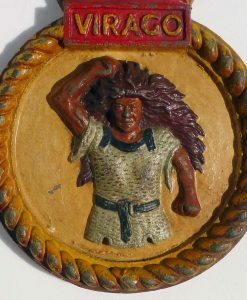 It looks like this one was never finished and misses some ropework. 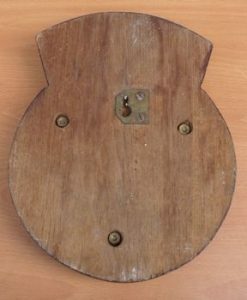 Laterly it has been mounted on a wooden back board. 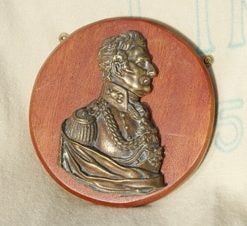 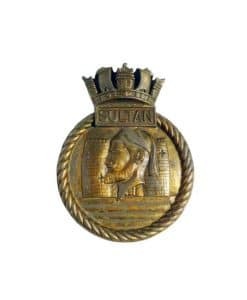 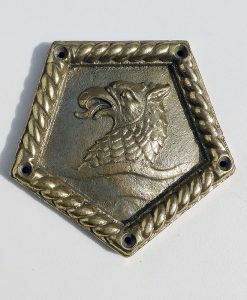 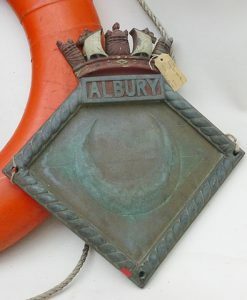 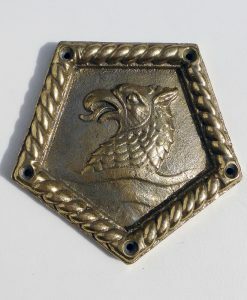 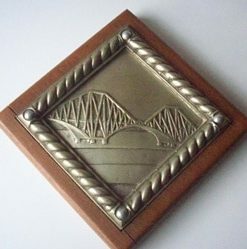 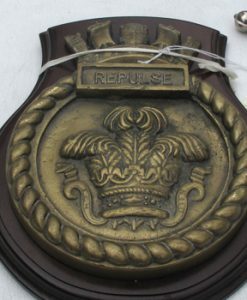 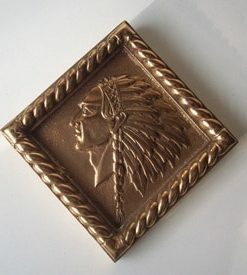 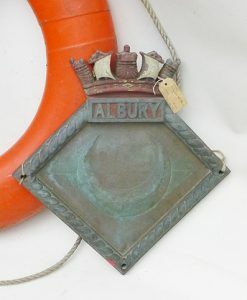 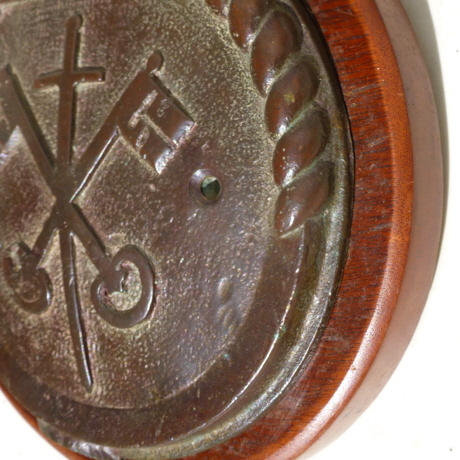 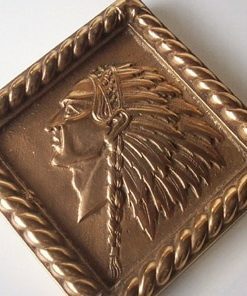 One of several original ships badges bought straight from government dockyards.